” It is a time of great opportunity. A time to reflect on the last year: your choices; major life events; relationships;career; family; and health. And a time to set goals for the year ahead. 2016, here we come! Now is a perfect time to get brutally honest with yourself: About where you have been; where you are now; and where you want to go. – What did you love about 2015? – What do you wish you had done that you didn’t accomplish? – What major life events occured? Were they generally positive or negative? – Do you like the choices you made in your romantic relationships? Career? Health?Parenting? Friendships? – What was the most fun moment? The most painful moment? – What are you most grateful for? – How did your life change? – What is the most important thing you learned about yourself? – What do you most want in your life during the next year? – What experiences do you hope to have? – What is your biggest priority? Where are you going to devote the majority of your energy and time to? – What is one area of your life that you want to be different? – What relationships do you want to nurture? Which might you want to let go? – Where are your greatest opportunities for growth? Where are you most vulnerable for failure? What are you going to do to have an amazing 2016? Getting what you want in life requires choice and action. 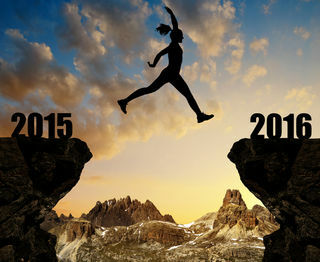 As you become more aware of where you have been in 2015 and what you want for 2016, you have to do something. You have to act. You have to make deliberate choices that propel you forward. – Smile when you notice you are frowning. – Put down your phone for an hour a day and interact with your family. – Journal for 5 minutes a day. – Exercise for 30 minutes, 3 times a week. – Eat a vegetable everyday. – Work towards forgiving someone. – Donate your time or money. – Read the Sunday paper to keep up with world events. – Stop thwarting your romantic relationships. – Examine what you do to contribute to challenges in your life before looking externally. The bitter Truth is This: The new year is a time to get brutally honest with yourself about where you have been; where you are now; and where you want to go. Take some time to look back at 2015. Use this self-reflection to propel you to an amazing 2016! Previous DO YOU SERIOUSLY THINK GOD CAN’T USE YOU?